There are a further 2 bedrooms both twin rooms again with air conditioning and balcony the third bedroom has a shared bathroom all others are en suite. For families and those in search of some peace and quiet, the budget conscious, or anyone wanting to stay self-catering then Ovacik is perfect. 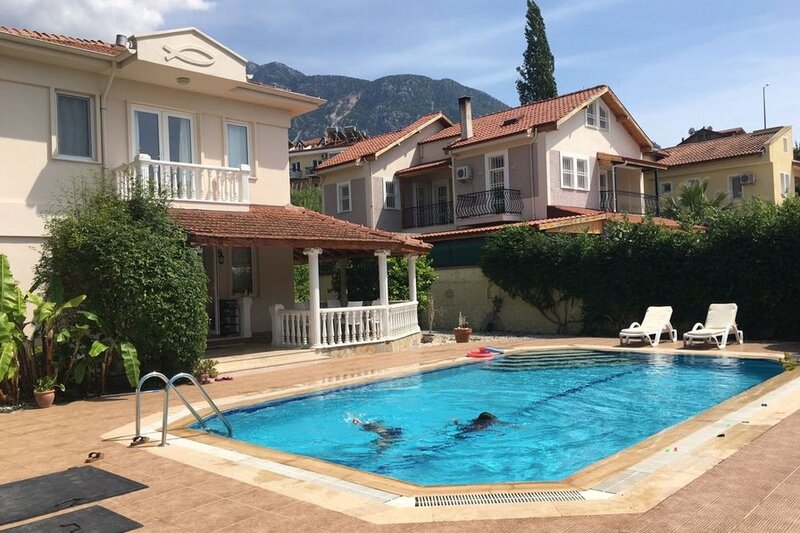 With excellent transport links to the busy resort of Hisaronu (5 minutes), Oludeniz beach (10minutes) or Fethiye Town (15 minutes), it is an ideal and affordable base from where you can easily explore the region or simply lay back and enjoy the surroundings.